Exam preparation can be simple and even quite interesting, if properly motivate yourself to plan activities. Moreover, it is equally important to tune in a positive way, which is so lacking in those who look at a mountain of textbooks, anticipating the most boring hours in my life. First and foremost, you need to motivate yourself to find the purpose for which you are willing to dedicate several hours of study tickets. The perfect motive for learning is the desire to gain new knowledge. This motif occurs only if the subject interest you. The interest arises to what is familiar, what we want to understand what will apply in practice. Often, the interest is missing for that object, which is not clear, in this case, it is necessary to begin not with the tickets, and from the very beginning, to understand the basic concepts, possibly with the appearance of the first understanding, will arise the desire to learn something else. Tickets are best taught not in a row, and from those topics that you are interested in. Try to read not only the textbook where the material can be set out too dry, but the scientific and popular literature on the subject or the memories of people who have dedicated themselves to the relevant science, it will open for you new sides of the material being studied. Try to apply to themselves the motives of punishment and encouragement. Imagine how you expel from the Institute, just due to the fact that you are too lazy to spend a few hours a day to study. Promise yourself that for every class ticket, you will somehow reward yourself. Be sure to make a detailed plan for the exam preparation. This is a very effective technique. First, the deletion of completed plan items is very nice from a psychological point of view, the moment it can be a great motive for study. Second, rozplanowany a task into many small subtasks, each of which does not seem difficult, but when you look at the whole scope of the work as a whole, you can give up. Psychologists have found that people more readily does the work, the closer the date of its completion, that is when you see that your task is to explore just one ticket in one hour, you will be easy to do it right now. But when you look immediately on the 30 tickets that you want to learn in two weeks, for completion of the case will seem so large that you want to delay the start of work. For some people a good motivation will be the excitement, you can compete with yourself, for example, if you can learn the tickets more than I learned yesterday. It will be good if you can find a companion who will be ready to compete with you. 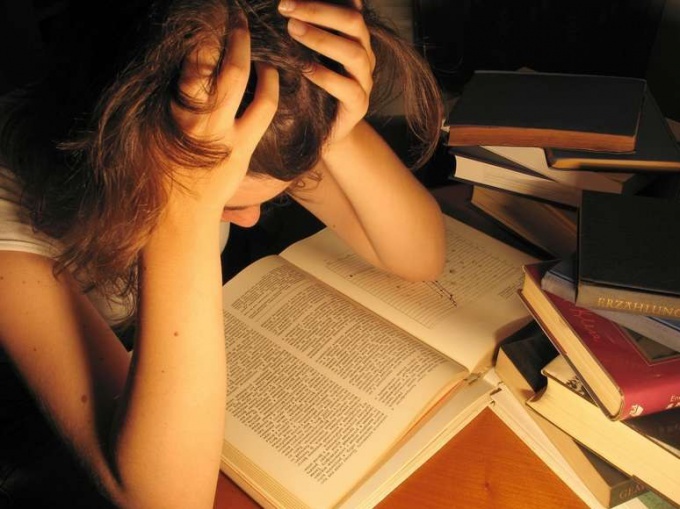 Usually the preparation for the exams - a process that takes place in solitude, but some are easier to learn in a group, and someone easily remembers information when recounting it to others. If this is your case, try to find a group to prepare for the exam.